← It’s About Time! 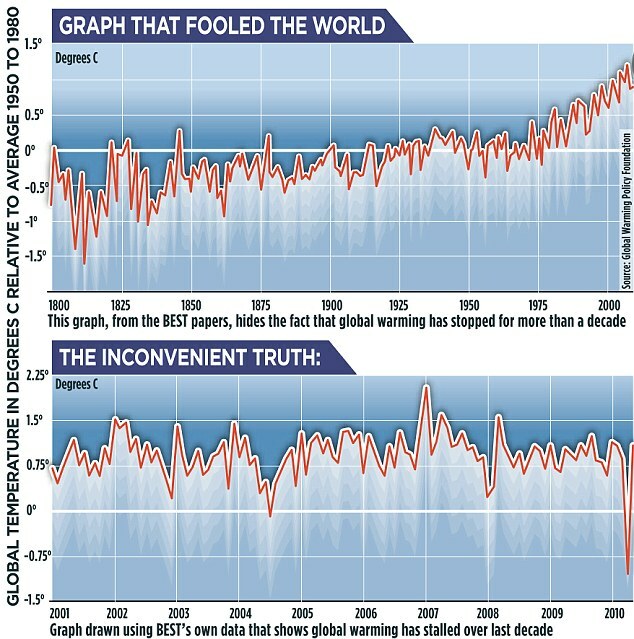 It’s AGW Lie Detector Time! Here we go again. More questionable warmer data released, which only takes a short period of time to be discredited. Yet more unprecedented, irrefutable proof going down the global warming toilet. That this was touted as the “scientific study that ended the global warming debate once and for all” is laughable. Amazing timing these warmers appear to have . The inconvenient truth is conveniently published a mere week prior to the next global warming cabal with key words and phrases such as irrefutable, stringent and save civilization. So, what’s the problem with this irrefutable evidence? Credibility? Since when do the warmers need credibility? It’s all about smoke & mirrors, obfuscation, BS, and even sometimes blatant lies! It seems the information was also conveniently released not only before it was ready, but before other parties of the study were even consulted. It appears to us that this was all conveniently orchestrated to avoid dissent and to ensure the disinformation was released immediately prior to the climate conference in South Africa. Why else would you brief only selected journalists other than to make sure they were journalist who would faithfully put out your disinformation? Why would you bind other participants with confidentiality agreements other than to silence the opposition? Sounds like more typical CO2 Insanity to us. Read it all at the Daily Mail and decide for yourself. My scientist vs. your scientist. Which one gets more money, doesn’t have their life threatened if they play along. Call it conspiratorial or just call it a duck if it quacks. Either way, what it leaves behind stinks. This kind of data plotting is eye catching, but the quantity plotted in the above graphs is not the temperature of anything. The thermal energy per unit volume is given by the local temperature times the specific heat of the substance in question. So we can ask: Temperature of what location and what substance? The thermal energy content of a cubic centimeter of liquid water is about 1000 times greater than a cc of air at the same temperature. The time averaged total thermal energy content of all oceans, atmosphere, and surface material would be of interest, rather than the non-thermodynamic statistical construction “global mean temperature.” Of course, there is no causal relationship to human activity caused global warming (HUAGWA) established in any of this, even if there were a climatic warming trend.